An accomplished sailor and navigator, Juan Rodríguez Cabrillo never discovered San Francisco Bay, though he passed by it several times. 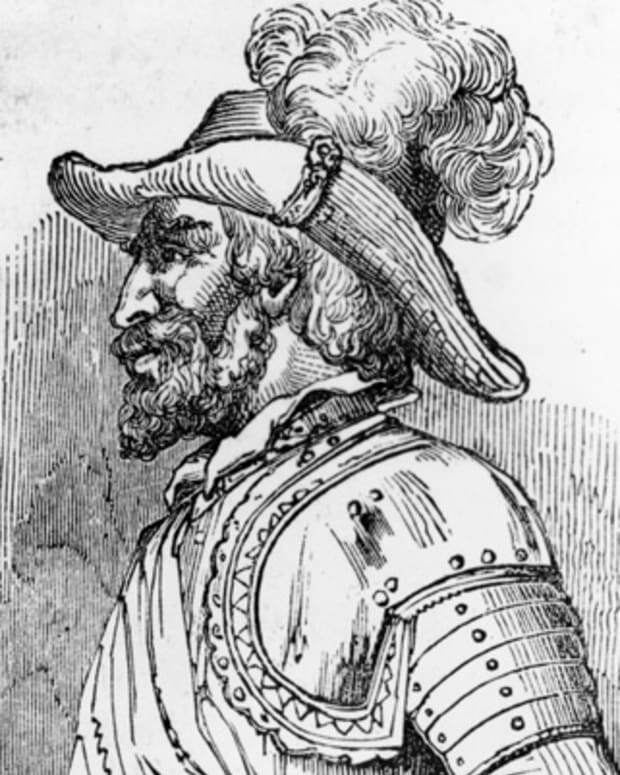 Juan Rodríguez Cabrillo was an ambitious, at times ruthless Portuguese soldier who served the Spanish Empire. 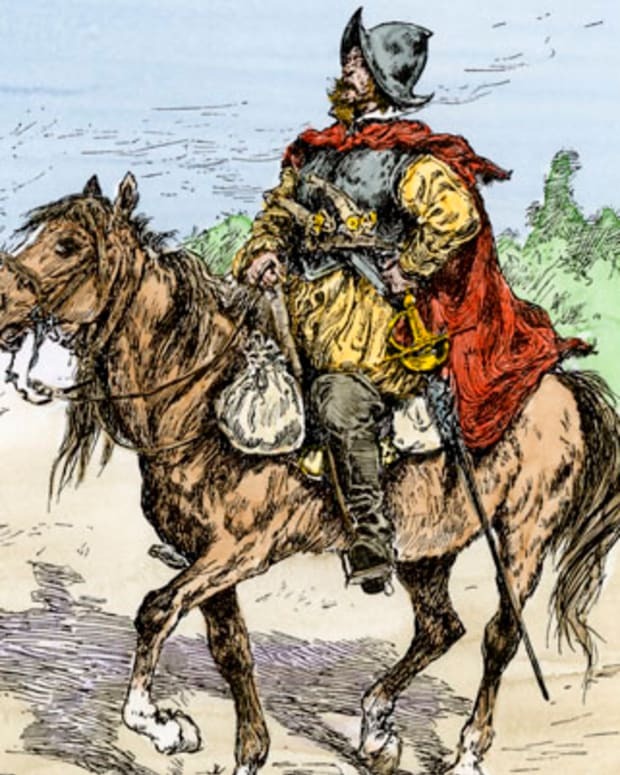 He participated in the conquest of Cuba in the early 1500s and later battled the Aztecs in Mexico. Cabrillo eventually made his fortune in Guatemala, mining gold and trading goods while participating in the slave trade. In hopes of more riches, he set out to explore the California coast, mapping landmarks and identifying Native villages. 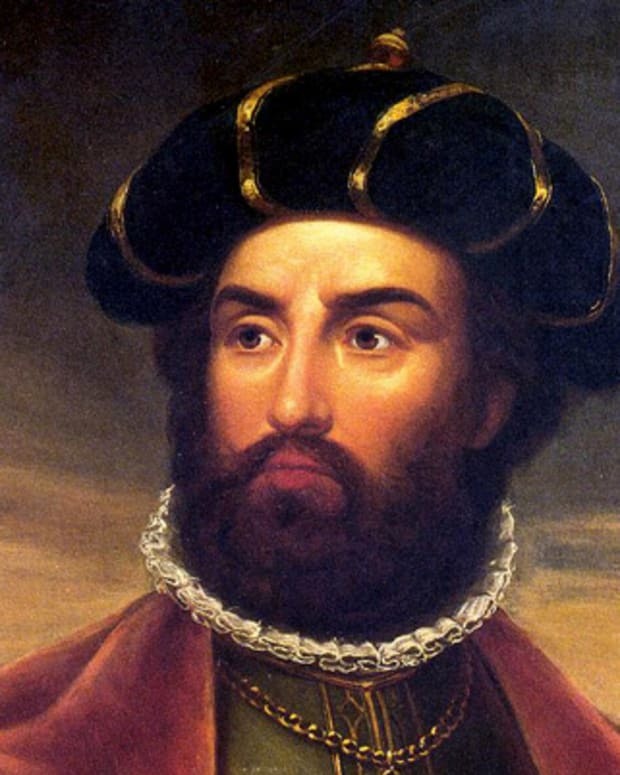 He died on January 3, 1543, of infection from a wound suffered after an attack on his expedition by Tongva tribesmen. 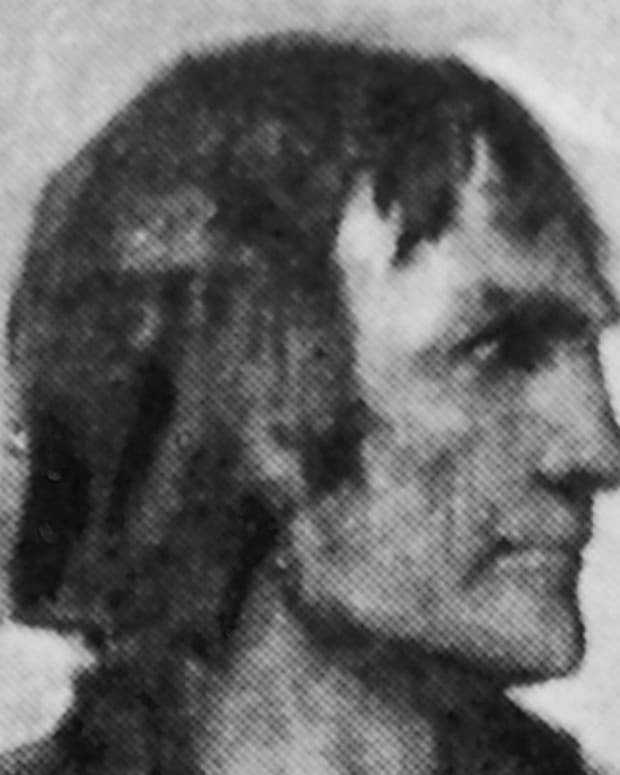 Juan Rodríguez Cabrillo’s early life is a mystery. 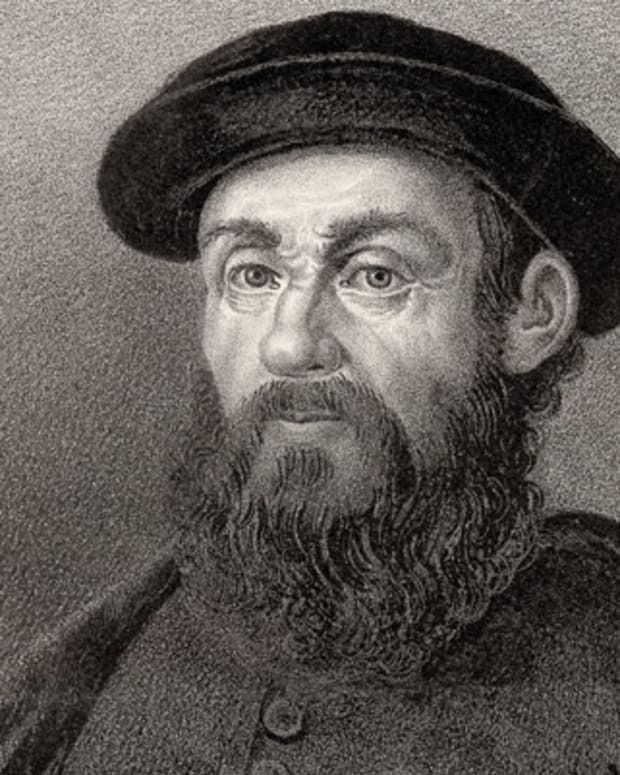 Historians believe he may have been of Portuguese descent but was born in Spain around 1475. More than one village in Portugal claims to be his birthplace. What is known is that he was raised in Castile, Spain under humble beginnings. As a young man, Juan Rodríguez Cabrillo became a skilled seaman, and in 1502 he sailed to the West Indies as part of a huge expedition of 30 ships and 2500 soldiers to colonize the island of Cuba. 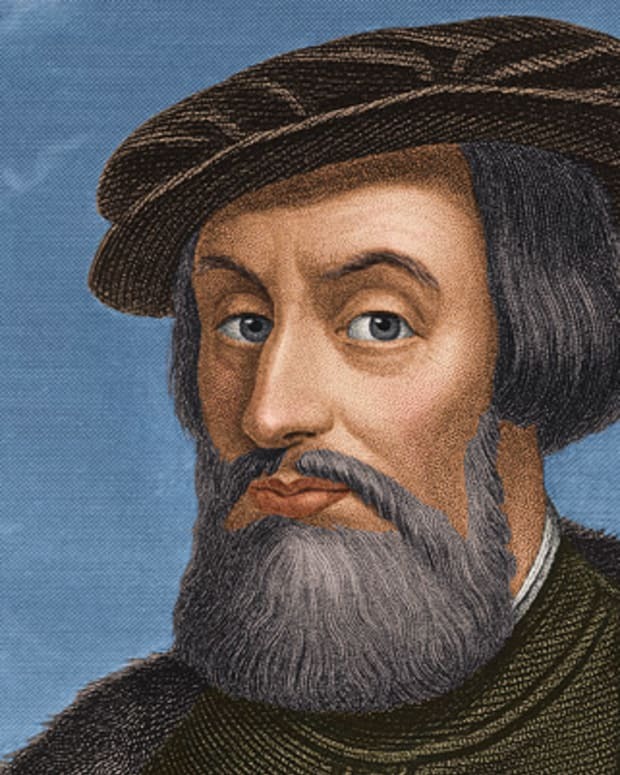 In 1519, he was sent to Mexico on a mission to arrest the rebellious Hernán Cortés, who had disobeyed orders in his conquest of the Aztecs. The mission didn&apos;t succeed and the ambitious Cabrillo joined Cortez in his assault on the Aztec capital of Tenochtitlán (Mexico City). 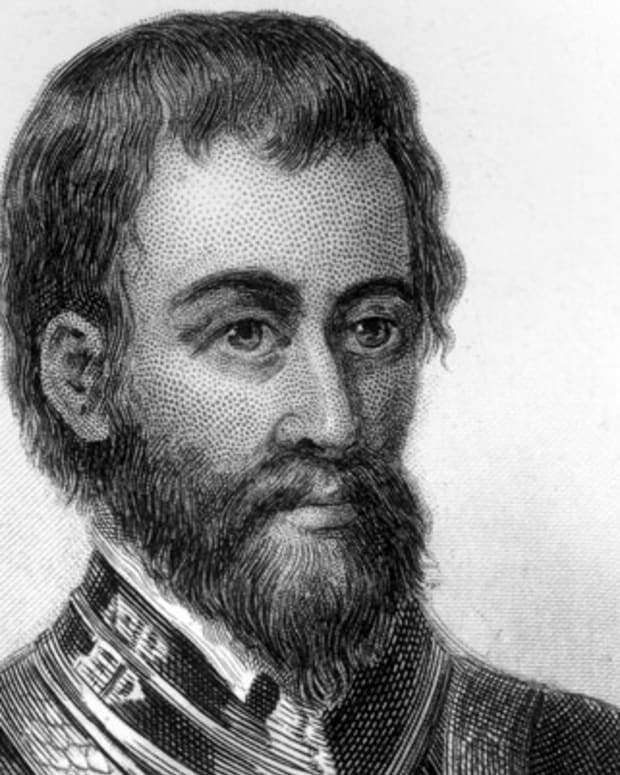 After the defeat of the Aztecs due to decimation of the population from disease, Juan Rodríguez Cabrillo joined Pedro de Alvarado&apos;s military expeditions into modern day southern Mexico, Guatemala and El Salvador. Eventually, Cabrillo settled in Guatemala. In 1532, he traveled to Spain where he met and married Beatriz Sanchez de Ortega, from Seville. She returned to Guatemala with him and the couple had two sons. 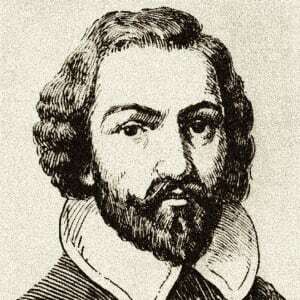 In the 1530s, Cabrillo made his fortune in gold mining. From a port on Guatemala’s Pacific coast, Cabrillo facilitated the import and export of items to Spain and other regions of the New World. He benefited greatly from the encomienda system, an economic practice where indigenous inhabitants of specific areas of land were highly subjugated and expected to pay tribute to Spanish authorities. Cabrillo broke up native families by sending the men to work in the mines and turning over the women and girls to his soldiers and sailors, presumably as slaves. Historians believe Cabrillo may have also taken a native woman as his mistress and sired several children. During this time, Spain began to expand its empire north. They understood that North America was not India, as Christopher Columbus had believed, but had no conception of its actual size. Legends told of a water passage through the continent that extended from the Atlantic to the Pacific oceans called the Straits of Anián. Cabrillo was commissioned by Antonio de Mendoza, the Viceroy of New Spain, to explore the Pacific coast in hopes of finding rich cities and the water passage. He was also instructed to meet with Francisco Vasquez de Coronado, who it was believed was crossing overland to the Pacific. 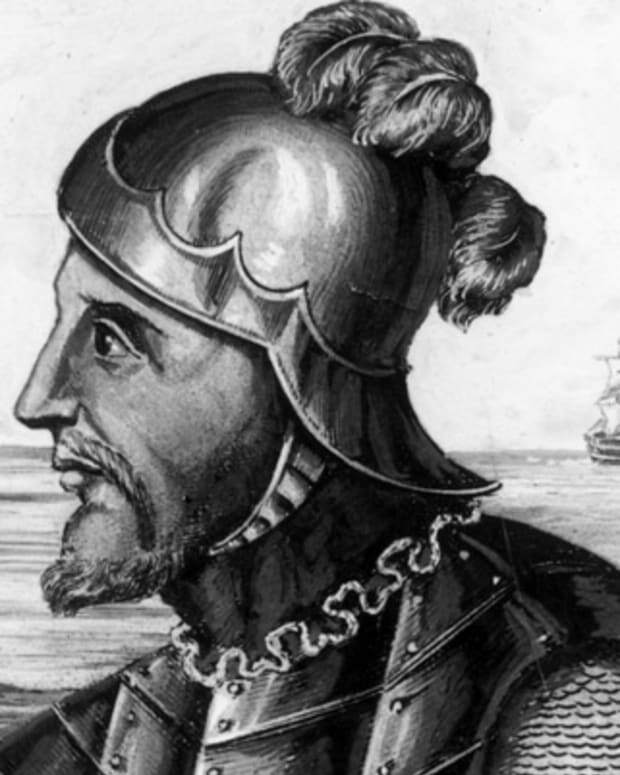 Since Cabrillo built and owned his flagship, the San Salvador, he stood to profit from any trade or treasure. On June 24, 1542, Cabrillo sailed out of Navidad (near modern-day Manzanillo, Mexico) with his flagship and two other ships, the La Victoria and the San Miguel. Four days later, the expedition reached “a very good enclosed port” Cabrillo named “San Miguel” (later known as San Diego Bay) after one of his ships. Six days later the fleet sailed north along the uncharted California coast, visiting an array of islands that included Santa Cruz, Catalina and San Clemente. Along the way, the expedition visited numerous coastal native villages, recording their names and population counts. Spain would not revisit the area until 1769, returning with soldiers and missionaries. The Cabrillo expedition slowly made its way north along the coast, occasionally buffeted by weather disturbances. On November 13, the explorers sighted and named “Cabo de Pinos” (present-day Point Reyes), and then sailed as far north as the mouth of the Russian River before autumn storms forced them to turn back. They then sailed south along the coast to Monterey Bay, naming it “Bahia de los Pinos.” In the process, Cabrillo and his men completely missed the entrance to San Francisco Bay, an error mariners would repeat for the next two centuries most likely due to fog. The expedition made its way back to San Miguel and wintered there. Sometime around Christmas Eve, the Spaniards were attacked by indigenous Tongva warriors. In an effort to assist his men, Cabrillo stumbled over jagged rocks and broke his shin bone. The injury became infected and developed gangrene. Cabrillo died on January 3, 1543, and is believed to have been buried on Catalina Island. The expedition set out again in mid-February, sailing possibly as far north as Oregon. They returned to Navidad in April 1543. The Cabrillo expedition never achieved its major objectives of finding rich cities and the mythical Straits of Anián or rendezvousing with Coronado. The expedition did, however, claim new land for Spain that stretched north of Mexico, which the country would colonize and settle two centuries later. 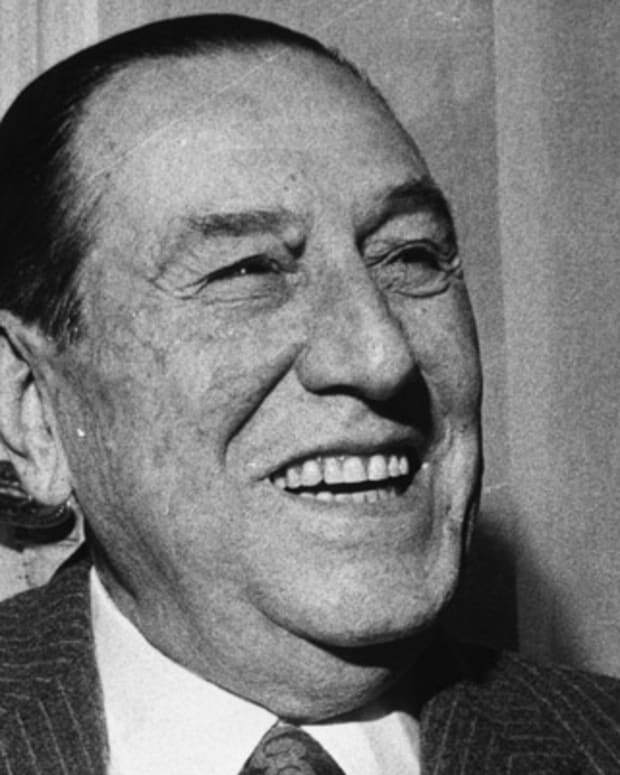 Juan Perón was a military officer and politician who was elected president of Argentina three times.